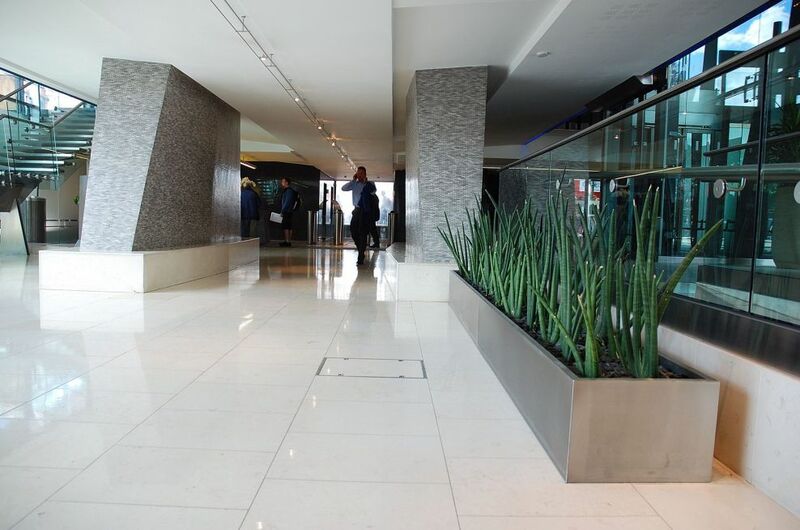 Bespoke steel planters were commissioned from IOTA for Centre Point, one of London’s most iconic buildings. 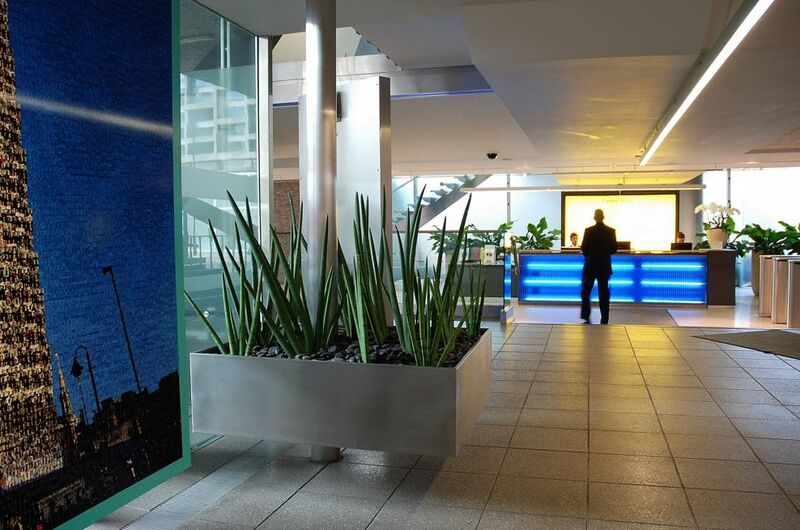 A mix of stainless steel and powder coated steel planters were supplied, for both interior and exterior use. 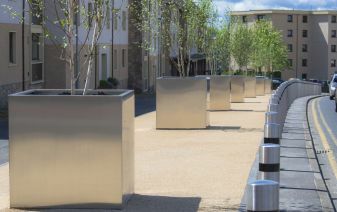 IOTA’s planters were commissioned for the project by Clifton Nurseries who were appointed to “create a greener and softer environment” for the modern building. 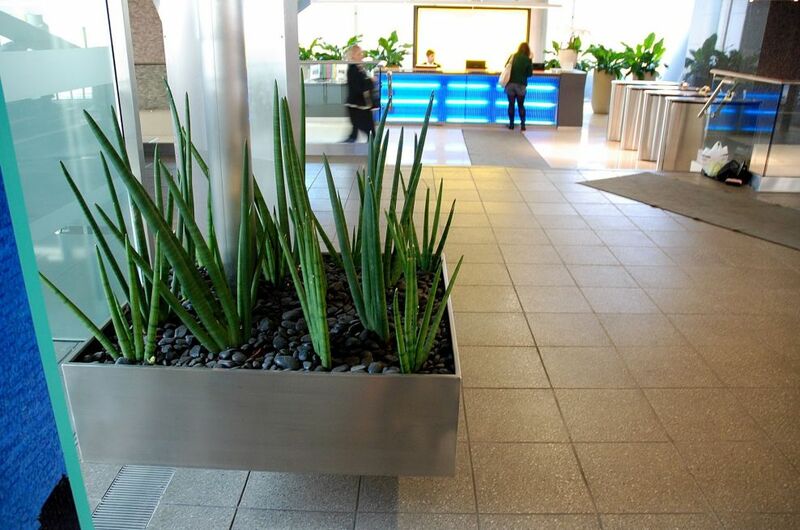 Brushed stainless steel planters in 304 grade are used in the main entrance and foyer, architecturally planted with Sansevieria. 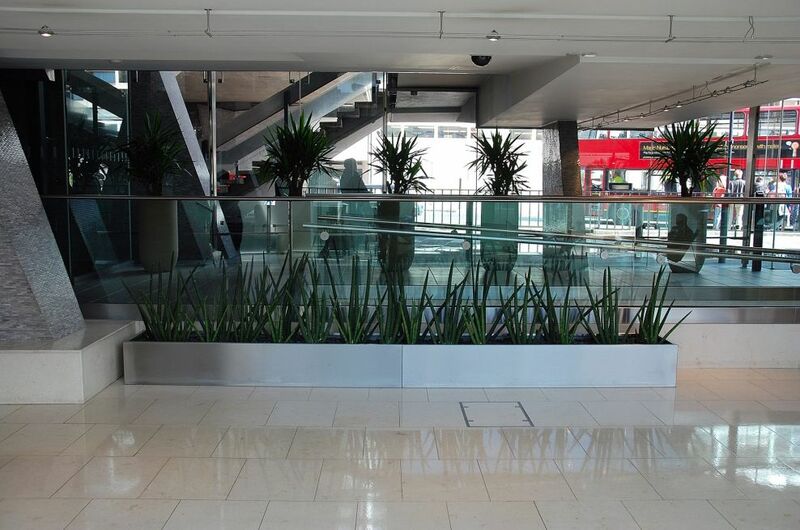 A suspended stainless steel planter makes a striking feature at the main Oxford Street entrance, and long stainless steel troughs direct visitors to the main elevators. 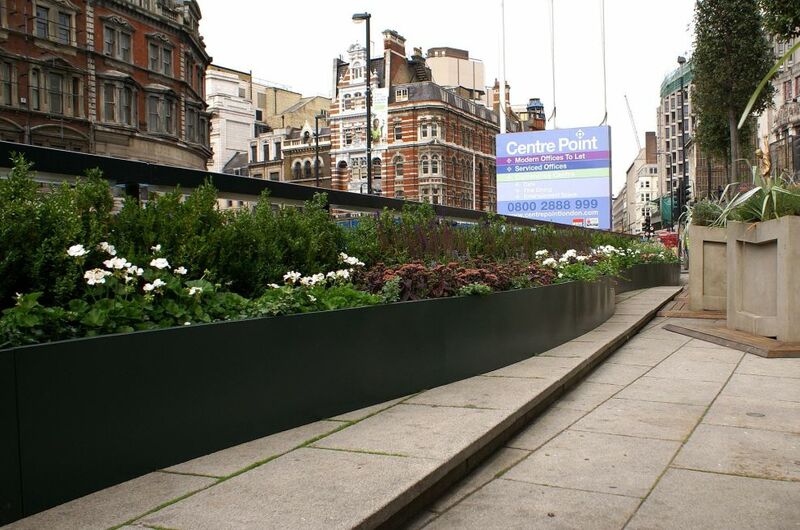 Externally, a run of powder coated steel trough planters in RAL 6012 [Black Green] are located on the top of the wall adjacent to the tube station entrance, planted as a screen. Each planter measured 600mm wide x 600mm high, in varying lengths, internally bolted-through to give a total run of 10.25m. One section was installed independently with recessed castors to allow access to a drain cover, and all planters were designed with additional features to accommodate an automatic irrigation system. 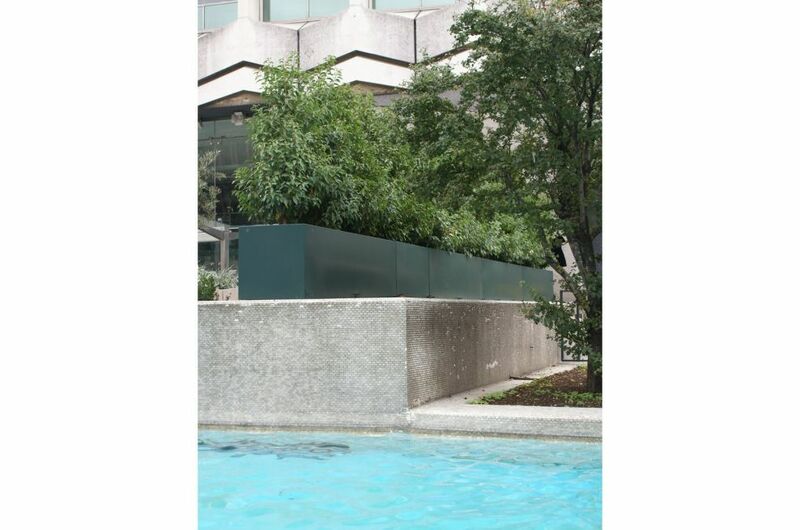 A further run of powder coated troughs, also to RAL 6012, was installed as a ‘wave’ running the full length of Centre Point’s trademark water feature. The total length of planting was 23.5m, in 10 trough planter sections. Due to undulations in the paved surface and changes in level, each of the 10 planters was individually fabricated to maintain a perfectly flat top edge to the completed installation. Centre Point is an architectural icon from the 1960s, with its distinctive concrete pattern making it an instantly recognisable London landmark. The building is located in the centre of the West End, looking over the busy Oxford Street and Charing Cross Road junction, and stands 117m (385ft) tall, accommodating 35 floors of office space. Centre Point is a Grade Two listed building, with the Royal Fine Art Commission praising the building as having an 'elegance worthy of a Wren steeple'. 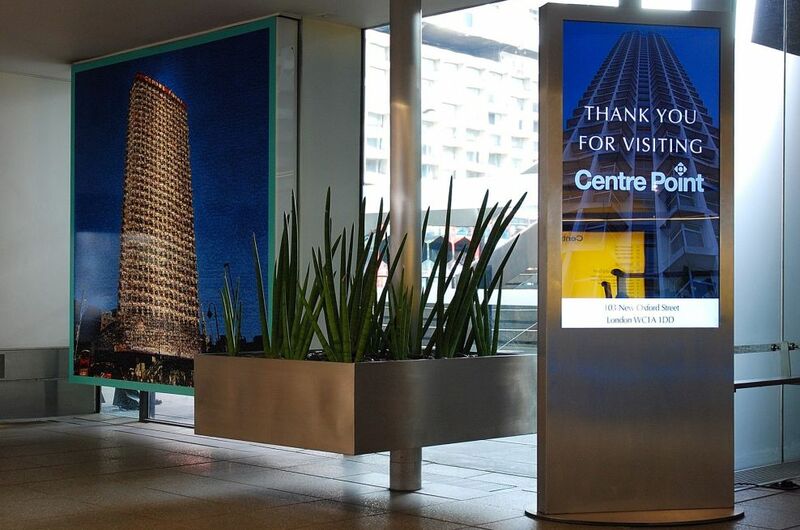 Update 2011: The Centre Point fountains and plaza have now been demolished as part of the works at Tottenham Court Road for Crossrail, and this has included the removal of IOTA’s exterior planters. However the interior, stainless steel planters remain in situ.